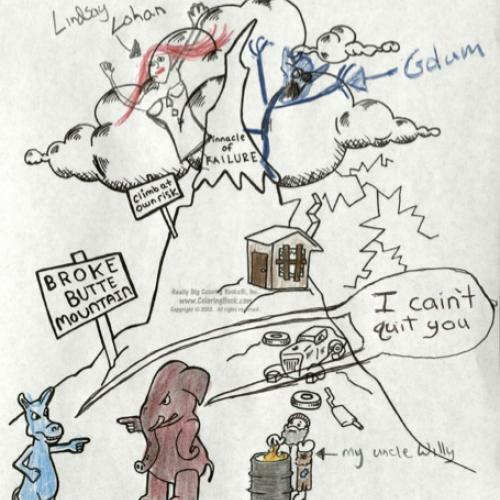 The Fiscal Cliff Coloring Book: Fun for Grownups Too! 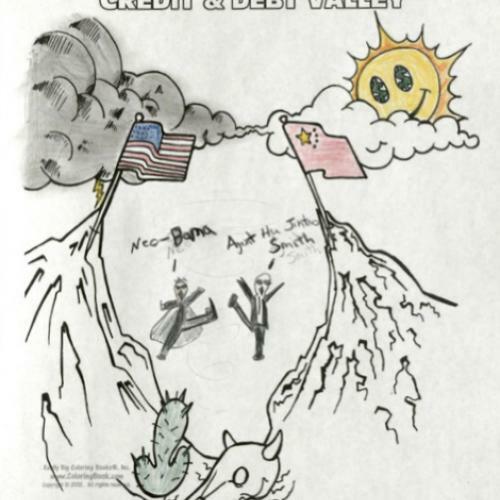 If you’re like me, and/or are a child, you know almost nothing about the dreaded “fiscal cliff.” And that's fine: We can't all be policy wonks (what a nasty, brutish and short world that would be). Thankfully, there is now a special edition coloring book for those of us with more important things to do than worry about cliff diving, cliff jumping or Clif Bar eating. 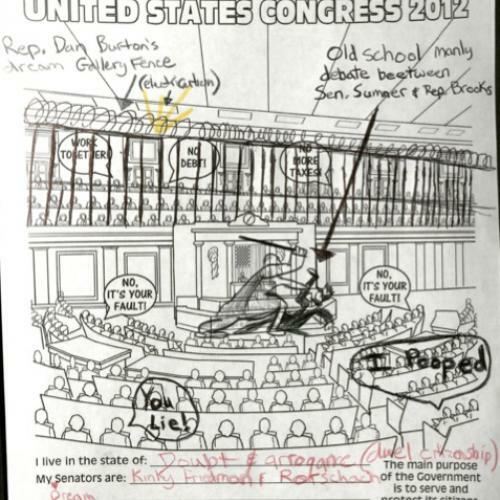 When national affairs gets this confusing, the Really Big Coloring Book company is there to help folks draw their own conclusions. “We’ve heard from a lot of people from around the United States about this particular subject and how they want to explain it to their children,” says founder Wayne Bell. 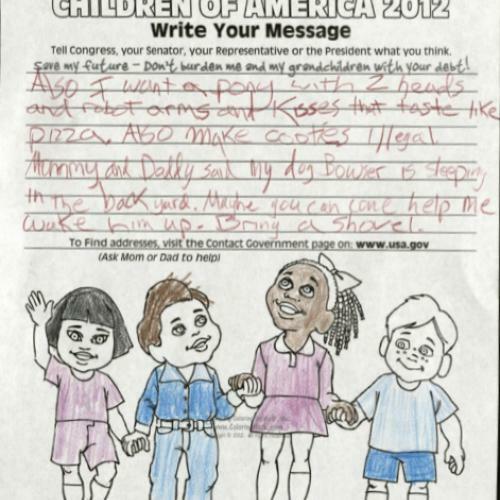 The St. Louis-based company made headlines two years ago when it published a Tea Party-themed coloring book. At the time, Mr. Bell told me that he and the company had gotten numerous threats. 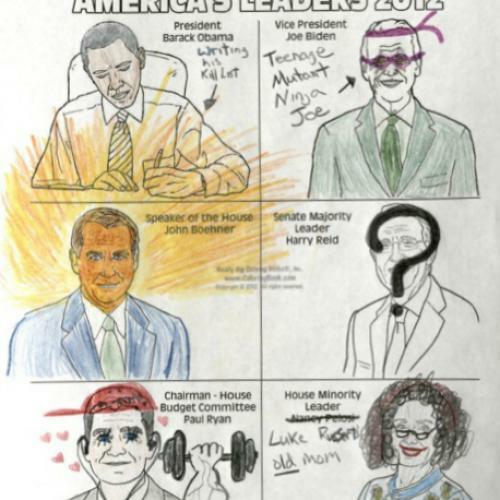 Never mind that the company also has flattering coloring books about the two main political parties, “The True Faces of Evil - Terror,” an Obama-themed spread, a “Hip Hop Gangsta Rap Coloring Book” and much, much more. 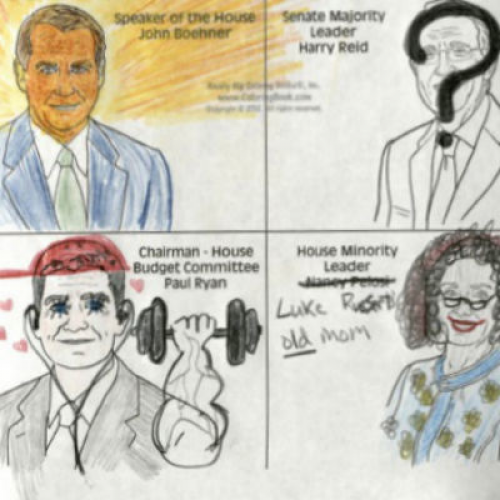 Having now colored my way through the fiscal-cliff book, I can say without hesitation: This new addition to the Really Big Coloring Book family is great. Sure, the six new pages are not too informative (I still have no clue what a “fiscal cliff” is) but I sure had -- as Bell promised -- a lot of fun. And mom said she'd put it on the fridge! 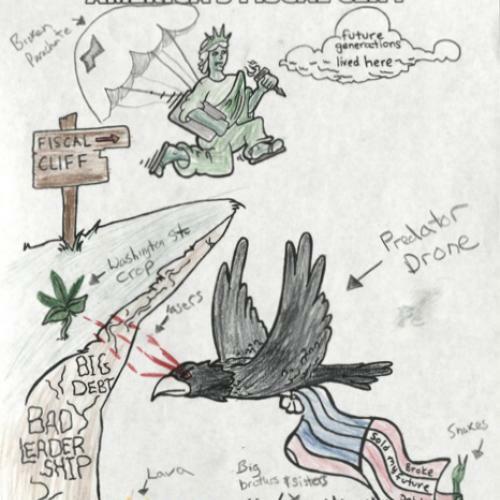 Check out TNR’s colorful fiscal cliff doodles below and then download your own, untainted pages here.